Green Children? Eternal Twilight? Luminous Land? It is said that during the reign of King Stephen of England in the 12th century, there was a strange occurrence in the village of Woolpit in Suffolk. This strange occurrence came in the form of two young children who were found emerging from wolf pits (deep ditches excavated to trap wolves) and were found by the reapers during harvest time. Both children, a boy and a girl had green skin and wore strange coloured clothes made of unfamiliar materials who were then taken to the village. They were then taken to the local landowner Sir Richard de Calne where they refused to eat any food for the next few days until they found fresh beans and ate them ravenously. As time passed the boy who looked younger of the two was said to have become depressed which lead to him become sickened and soon he died. That the children were brother and sister. That they had come from ‘the land of St. Martin’. Where it was always twilight. The inhabitants all had green skin. Other accounts say that she described another ‘luminous’ land which could be seen across a ‘considerable river’ which separated her land from another. She remembered that one day they were looking after their father’s herds in the fields and had followed them into a cavern, where they heard the loud sound of bells. They followed the sound as they wandered through the darkness for a long time until they arrived at the mouth of the cave, where they were immediately blinded by the glaring sunlight. They lay down in a daze for a long time, before the noise of the reapers terrified them and they rose and tried to escape, but were unable to locate the entrance of the cavern before being caught. It is said that she eventually married a man at King’s Lynn, in the neighbouring county of Norfolk, apparently becoming ‘rather loose and wanton in her conduct’. Some sources claim that she took the name ‘Agnes Barre’ and the man she married was a senior ambassador of Henry II. William of Newburgh (1136-1198) was an English historian and monk from Yorkshire. His main work was in ‘History of English Affairs’ where he was responsible for noting any significant event in the history of England from 1066 to 1198, in which he includes the story of the Green Children. Ralph of Coggeshall (died c 1228), who was the sixth abbot of Coggeshall Abbey in Essex from 1207-1218. His account of the Green Children is included in the ‘English Chronicle’ to which he contributed between 1187 and 1224. As it can be seen from the dates, both authors recorded the incident many years after it was supposed to have taken place. 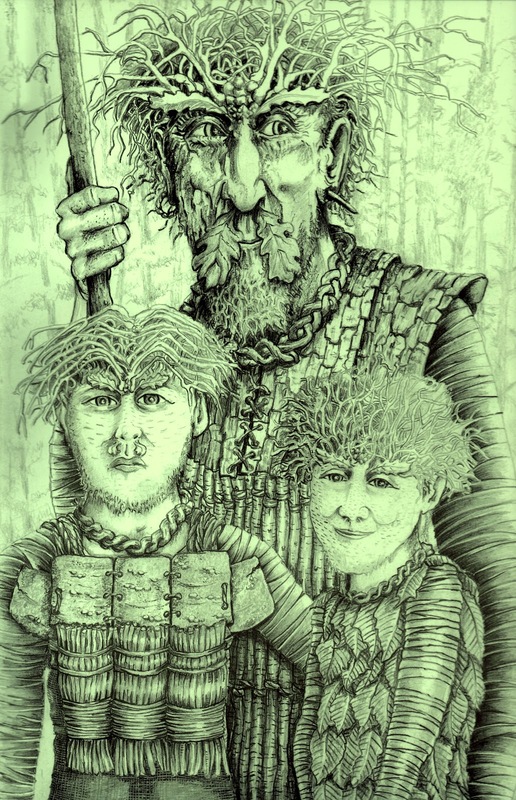 The fact that there is no mention of the Green Children in the Anglo-Saxon Chronicles, which deals with English history up until the death of King Stephen in 1154, and includes many of the ‘wonders’ popular at the time, could indicate a date for the incident early in the reign of Henry II, rather than in the reign of King Stephen. 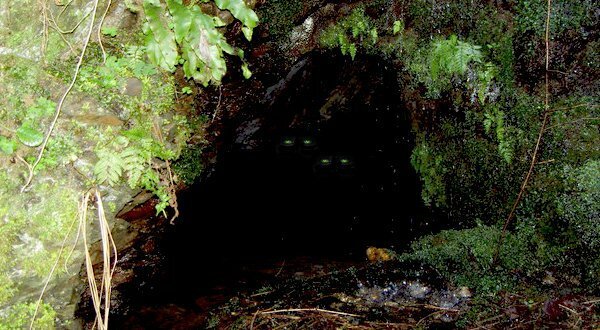 There are many facts mixed in with folktale in this account of the Green Children of WoofPit, what you believe is up to you but without any more sources, it will be difficult to solve this mystery.